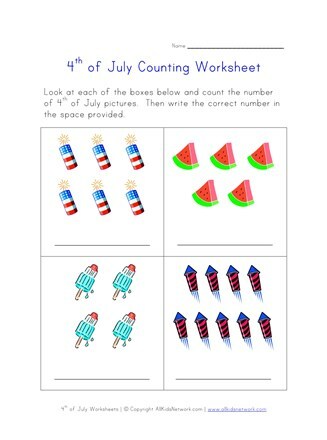 Kids can practice their counting with this 4th of July themed counting worksheet. 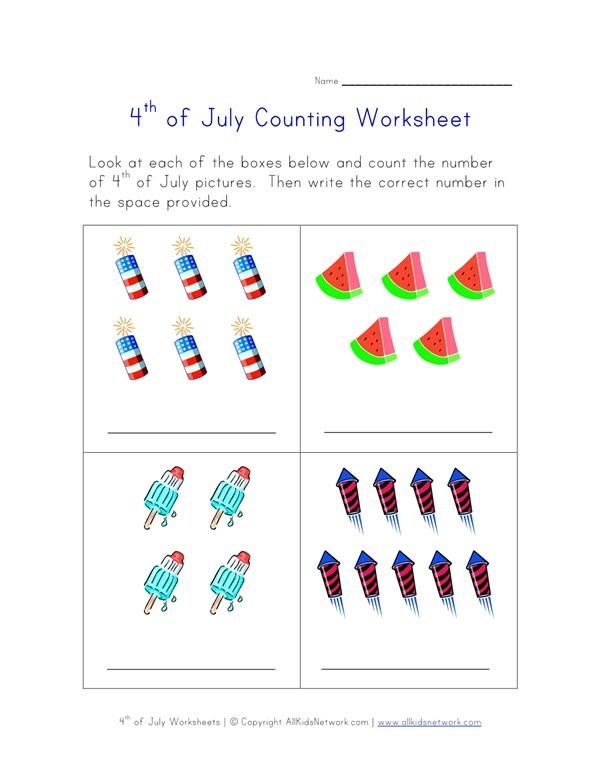 This worksheet is great for preschool to kindergarten aged kids as they are asked to count the different 4th of July pictures and write the correct number in the space provided. Print this worksheet out with the rest of our 4th of July worksheets to do with your kids!